The ASA Restoration Project is leading the excavation and restoration of the 2700 year-old tombs of Kushite Noblemen, as well as honoring the legacy of Dr. Hilliard. The Project was established in 2008 to honor the work of Dr. Asa G. Hilliard, III, and fund the excavations and restorations of Dr. Elena Pischikova and the South Asasif Conservation Project, which she directs. Dr. Hilliard was an educational psychologist, master teacher, author and historian who was internationally recognized for his outstanding scholarship. The ASA Restoration Project was established by Anthony Browder (with the generous support of the Hilliard family) as a fitting tribute to a man who was loved worldwide and taken from us too soon. Dr. Elena is an authority on the 25th Dynasty, and is one, of a small group of Egyptologists, who acknowledges that the ancient Egyptians were of African descent and that the Kushites were their ancestors and contemporaries. In 2006 Pischikova discovered the 25th Dynasty tombs of the Kushite nobles, Karakhamun and Karabasken, and struggled to raise funds to continue the excavation and restoration. Mr. Browder met Dr. Pischikova in 2008 while conducting research in Egypt. He immediately recognized the importance of her discoveries and made a commitment to support her work. A decision was made to support the South Asasif Conservation Project and simultaneously honor the memory of Dr. Hilliard, who made his transition the previous year while in Egypt. 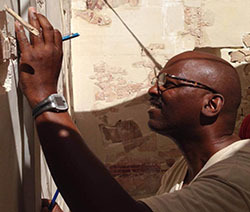 The ASA Restoration Project (a 501(c)(3)not-for-profit, tax exempt organization) was established in September 2008 and dedicated to the restoration of the Kushite presence in Kemet, and the preservation of the legacy of Dr. Asa G. Hilliard, III. 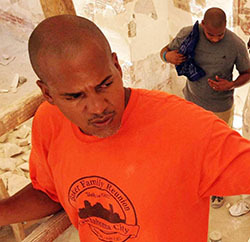 In 2009 we began organizing mission members to work at the excavation site. To date, we have sponsored 20 two-week missions. Our efforts represent the first time in history that African Americans have financed and participated in an Egyptian archeological excavation. In 2012, the President of Egypt, the Governor of Luxor and the Minister of Antiquities acknowledged our efforts. In October 2012, the Minister of Tourism sponsored an elaborate reception and dinner in our honor on the grounds of the temple of Luxor. During the 2013 season we completed the excavation of Karakhamun’s tomb and continued our restoration efforts. The remains of three pylons were discovered while examining the ruins of the superstructure of the tomb. This suggests that the structure was originally constructed as a temple and a tomb. Karakhamun’s temple/tomb is now recognized as one of the most unique burial sites on the West Bank. The walls and pillars of the tomb are inscribed with over one hundred chapters of the “Book of the Dead.” The eight pillars in the first hall are inscribed with text from the “Book of the Hours.” “Pyramid Text” has been found in the second pillared hall. As we reconstruct the final resting place of Karakhamun, we are reconstructing his life. We have firmly concluded that the architectural and literary contents of his temple/tomb strongly suggest that Karakhamun was a high official and was probably a member of the royal family. We recently restored Karakhamun’s second pillared hall as we celebrated the first decade of excavations and restorations of the royal Kushite tombs at South Asasif. We now know that Karakhamun’s temple/tomb is four times larger than King Tut’s tomb. While Karakhamun’s treasures were stolen ages ago, his temple/tomb is a treasure chest. It was built 750 years after the birth of Moses and 750 years before the birth of Jesus. Through our efforts, the temple/tomb of Karakhamun is being reborn. As we continue excavations inside Karabasken’s tomb, we anticipate making a number of significant discoveries that will help us reconstruct this important period in Egyptian history. All of the incredible work we’ve done was made possible because of the financial contributions of our supporters and the dozens of volunteers who’ve selflessly given their time and energy to ensure that the ASA Restoration Project continues making history. The tombs found by Dr. Elena were built for nobles of the 25th and 26th dynasties (between 747 and 525 BC). Each tomb was carved into the limestone bedrock, two stories below ground level. Because of their unique construction these tombs are considered more as sculpture than architecture, because stone was removed to create staircases, walls, ceilings, floors, pillars, rooms and doorways under the ground. Because the tombs were underground, they were 15-20 degrees cooler that the village homes that were exposed to the intense summer sun above ground. A typical summer day in the South Asasif desert averages about 115 degrees. Many villagers occupied the tombs in order to escape the intense heat of summer. The Tomb of Irtieru was found under the home of Ahmed Rassul, the village chief. His family had used her tomb as a kitchen, bathroom, bedroom, barn and laundromat. The tomb's ceilings were blackened with soot from fires used to cook food. Almost all of the wall carvings had been destroyed. An area that was used as a corral for animals was filled with over six feet of animal feces. Irtieru was the chief attendant to the daughter of a 26th dynasty king. The contents of her tomb had been stolen. The second tomb found by Dr. Elena's team was the 25th dynasty Tomb of Karabasken, the mayor of Waset, the capital of ancient Egypt. Waset was renamed Thebes by the Greeks and was later renamed Luxor by the Arabs. Village youth hung out in Karakhamun's tomb during the day, and their families used it as a bedroom in the evening. Unfortunately, the tombs of South Asasif were severely damaged by locals who used them as quarries. Large blocks of stone were removed to build homes, and the tombs were in imminent danger of collapse when they were discovered. All of the objects in both tombs had been stolen, wall carvings were destroyed and little evidence remained that would allow Dr. Elena to reconstruct the lives of the tombs’ original occupants. The third tomb discovered was that of Karakhamun, the First Ak Priest of Amun at Karnak Temple. The ceiling of Karakhamun's tomb collapsed during a storm and flood in the 1990's. The villagers used the sunken pit as a trash dump. This unfortunate act was also a blessing because it prevented the Rassul's from occupying and further destroying Karakhamun’s tomb, as they had destroyed the tombs of Karabasken and Itieru. Dr. Elena concentrated her initial excavation efforts in the Tomb of Karakhamun, where the most significant number of discoveries have been found. The tombs of Karabasken and Karakhamun were the first Kushite tombs built at South Asasif. The quality of their construction suggests that they were likely members of the 25th Dynasty’s royal family. The 25th Dynasty Kings were from Kush, the country south of Kemet, now known as Sudan. These Kushite Kings conquered Kemet, which had declined after a long period of political turmoil and had been ruled by foreign kings and petty warlords in the 8th Century, BCE. The Kushite Kings declared a holy war against the foreign invaders of Kemet and drove them out of the country. Once the borders were secured, they proceeded to rebuild temples and monuments, and restore "the land of their ancestors," who lived 2000 years earlier during the Pyramid Age. Kushite Kings ruled Kemet for almost 100 years, and they are the only Black rulers of Egypt who are acknowledged by mainstream Egyptologists. However, Dr. Elena is one of a handful of Egyptologists who acknowledge that the Ancient Egyptians were also "black" and the Kushites were their descendents. Dr. Elena has been ostracized by her colleagues for addressing this historical truth, and has received little support from traditional funding sources. The important discoveries made at the tombs of Karakhamun and Karabasken since 2009 have occurred because of the financial support of the ASA Restoration Project. The discoveries have been acknowledged by Egypt’s Ministry of Antiquities and are helping shed light on a forgotten chapter of Egyptian history. The 25th Dynasty is important because it is the earliest recorded renaissance in history. It connects the last chapters of ancient Egyptian history with the beginning, and documents over 3,000 years of African leadership and excellence throughout the Nile Valley. Dr. John Henrik Clarke referred to the 25th Dynasty as "Egypt's last great walk in the sun." Dr. Asa Hilliard called the 25th Dynasty "Kemet's Last Golden Age." Both men taught us to study the content of African History in context with World History. With the aid of Dr. Hilliard's Timeline of the Four Golden Ages of Kemet, we can view the content of Kemetic history within a larger historical and cultural context and link it with the cultures of ancient Nubia, Kush and Ethiopia. This new worldview allows African Americans a unique opportunity to reconnect the shattered pieces of our history, restore ancestral memories and reclaim a legacy that has been lost, stolen and marginalized. 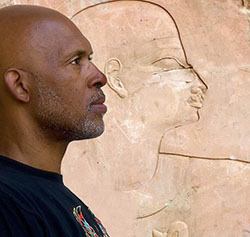 The ASA Restoration Project is dedicated to the restoration of the Kushite presence in Kemet and the preservation of the legacy of Dr. Asa Hilliard, III. We will continue to raise funds for the excavation, conservation and restoration of the newly discovered tombs of South Asasif and organize excavation missions. With the establishment of the Dr. Ivan Van Sertima Cultural Circles, we will teach youth and adults African history and encourage them to become advocates and defenders of their culture. This project is led and inspired by the tireless efforts of historians who have dedicated their lives to the restoration of African history. We hope that participation in this project will help inspire the next generation's of leaders. Who is Asa G. Hilliard? Dr. Hilliard was an Educator, Educational Psychologist and Historian. He achieved international recognition for excellence in all three disciplines. He was the Fuller E. Callaway Professor of Urban Education at Georgia State University, with joint appointments in the Department of Educational Policy Studies and the Department of Educational Psychology and Special Education. Dr. Hilliard wrote numerous technical papers, articles, and books on testing, Ancient African History, teaching strategies, public policy, cultural styles, and child growth and development. He consulted with many of the leading school districts, universities, government agencies, and private corporations on valid assessment, curriculum equity and teacher training. Dr. Hilliard was the co-developer (along with Listervelt Middleton) of the popular historical and educational television series, Free Your Mind, Return To The Source: African Origins. Dr. Hilliard and Mr. Middleton produced many videotapes and educational materials on African History through their production company, Waset Education Productions. Dr. Hilliard was a founding member of the Association for the Study of Classical African Civilizations (ASCAC) and passed in Egypt during ASCAC's international conference on August 13, 2007. The ASA Restoration Project was established in 2008 to honor the educational and historical legacy Dr. Hilliard and preserve his memory. 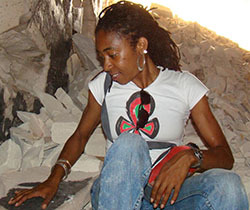 While in Egypt in 2008, Anthony Browder met a Russian born Egyptologist named Dr. Elena Pischikova who had recently discovered three Kushite tombs. Those who work with her affectingly refer to Dr. Pischikova as "Dr. Elena." She was working as an art historian in a Russian museum when she met Bernard Bothmer, an American Egyptologist who was touring the country. Dr. Bothmer was one of the foremost experts in Egyptian and Kushite Art of the Late Period. He was impressed with Elena's interest in Egyptian history and secured a scholarship for her to travel to the United States where he trained her in Egyptian Art. As an Egyptologist, Dr. Elena worked for the Metropolitan Museum in NYC and directed several restoration projects in Egypt. In her spare time, Elena searched for several lost Kushite tombs in an area known as South Asasif. These tombs had been written about in the 19th century but disappeared in the late 20th century. Her search paid off when she re-discovered three tombs in 2006, in the village of Ahmed el-Rassul, a descendant of the most infamous tomb robbing family in Egypt. For almost 200 years, the Rassul family stole thousands of tomb artifacts and sold them to Egyptologist, collectors and tourists from all over the world. The Rassul's used these ancient tombs as their personal ATM's with no regard for the people who were buried in them. The Rassul's had already looted the tombs that Dr. Elena re-discovered. But despite the loss of their contents, these tombs are important because they connect Kushite History to Kemetic History; this association is critical to the intellectual development of African Americans. This was Dr. Elena's motivation for reaching out to the African American community and this is what has endured her to us. In 2008, Browder established the ASA Restoration Project to raise funds for the South Asasif Conservation Project and to honor the life of Dr. Hilliard who passed in 2007. In addition to fundraising, the ASA Restoration Project has donated computers, supplies and equipment for the excavation and has sponsored three excavation missions. 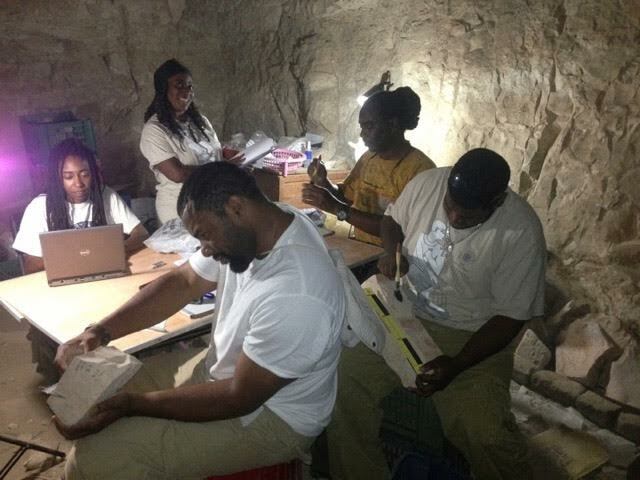 We represent the first African Americans to fund and participate in an Egyptian excavation. Who is Anthony T. Browder ? Anthony T. Browder is an artist, author, researcher, publisher, cultural historian, and an educational consultant. He has lectured extensively throughout the United States, Mexico, Africa, Japan, Belize, the Caribbean and Europe, on topics pertaining to African and African American History and Culture. Mr. Browder is the founder and director of IKG, a culturally oriented organization that is dedicated to the dissemination of "ancient Egyptian history and wisdom." He is also the director of the IKG Cultural Resource Center in Washington, D.C. Through these two institutions Mr. Browder sponsors lectures, seminars and publishes his research. Mr. Browder has personally escorted over 40 study tours to Egypt since 1987 and has participated in excavations in Luxor, Egypt since 2009. He is the author of From The Browder File, Volumes I and II, Nile Valley Contributions to Civilization, Egypt on the Potomac, and Avatar Revisited. He has also co-authored My First Trip to Africa and Africa on My Mind, with his daughter Atlantis. All of Mr. Browder's publications are currently being used in classrooms throughout the United States and Africa, the Caribbean, Japan and England. Browder has written, produced and directed documentaries for his publications Nile Valley Contributions to Civilization and Egypt on the Potomac. He is also a consultant for numerous historical documentaries including Malcolm's Echo, Nubian Spirit and Motherland. 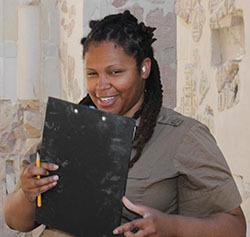 Browder is also the director of the ASA Restoration Project and is the first African American to finance excavations in Egypt and lead archeological missions in the Nile Valley. "Tony" describes himself as a chronicler of facts and information relative to the positive portrayal of the worldwide African experience. Our project is run by dedicated individuals who take pride in and have great passion in the work we are doing. Click here to learn more if you are interested in participating! Give Now through our secure Paypal donation page. If you would like to set up monthly recurring payments to the ASA Restoration Project in your Paypal account, you can do so by following these instructions from Paypal. These items must be submitted by November 30 and must be transmitted electronically to browderfile@yahoo.com. A $25 processing fee is also required for each application and may be submitted by check, payable to IKG CC, and mailed to P.O. Box 73025, Washington, DC 20056. Donate by check: It's been brought to our attention that some of you prefer not to make online contributions by check. That is perfectly acceptable. Please make your checks payable to IKG CC and mail to: IKG / 1816 12th Street, NW / Washington, DC 20009. We are seeking 800 people willing to donate $10 a month for one year or make an annual contribution of $120. This modest amount contributed by 800 persons would allow us to meet our minimum annual operational budget. Of course you can always make a larger contribution if you are able. Or, if you work for a company that matches employee contributions to non profit (501 (C)( 3)) organizations consider this a wonderful opportunity to double your contribution to the project. We invite you to share details of the ASA Restoration Project with family and friends. One of the best ways to share the experience is by participating in or organizing a Cultural Circle – an Action Oriented study group. A curriculum and organizational structure to help Cultural Circle members master specific aspects of Nile Valley history to share with their community and organizations will be provided. Hosting a Cultural Salon fundraiser is another great way to share. Invite your friends and colleagues to meet a representative of the ASA Restoration Project (or view a DVD presentation) and learn about the groundbreaking work being done in Egypt. Exposing a wider community of potential contributors to the project is an excellent way of raising the funds necessary for the annual excavation. The most important reason for supporting any activity associated with the ASA Restoration Project is that your contribution of money, time or resources will contribute to the restoration, preservation and presentation of one of the most important periods in human history. It is a rare opportunity, which few people encounter in their lifetime. It’s an opportunity to create a new world - while restoring an old world. Thank you for supporting the ASA Restoration Project and helping make us the first African American funded excavation in Egyptian history. We've done great work and have more plans for the new season. 2016 marks the 10th anniversary of the South Asasif Conservation Project with its goal to excavate and restore the tombs discovered by Dr. Elena Pischikova. 2016 is also the 8th anniversary of the ASA Restoration Project, which has been the primary funder of the South Asasif Conservation Project. Last year the ASA Restoration Project was able to secure $10,000 in additional funding for a stone cutting machine, two high powered drills (and drill bits) and miscellaneous supplies which have allowed us to do more reconstruction in the second pillared hall last season, that was done in the past 4 years combined. "The South Asasif Conservation Project and the MSA joined forces to host a formidable conference in Luxor: 'Thebes in the First Millenium BC.' 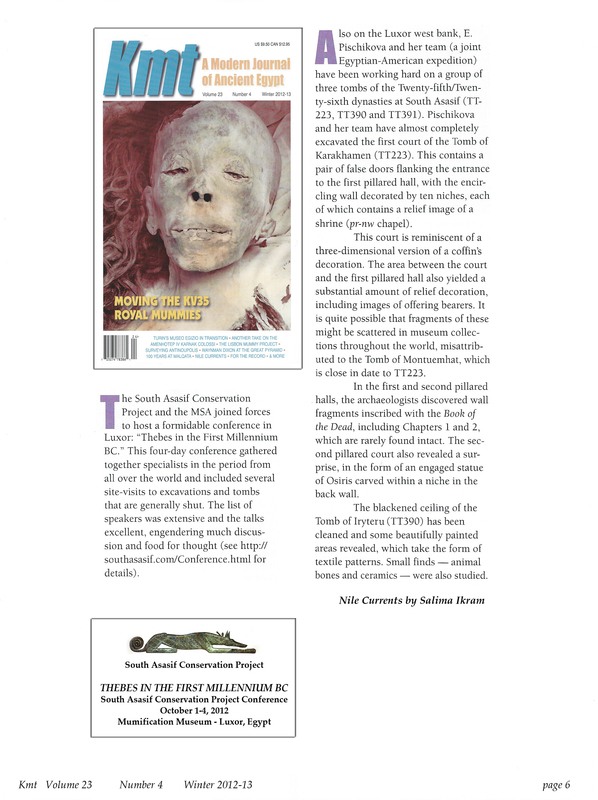 This four-day conference gathered together specialists in the period from all over the world..."
In 2010 a grant from the EES Centenary Fund was awarded to Kenneth Griffin to study the Book of the Dead in Second Pillared Hall of the Theban Tomb of Karakhamun. On August 26th 2010 the South Asasif Conservation Project mission completed its fifth season in the South Asasif necropolis, West Bank, Luxor re-discovered by the mission in 2006. 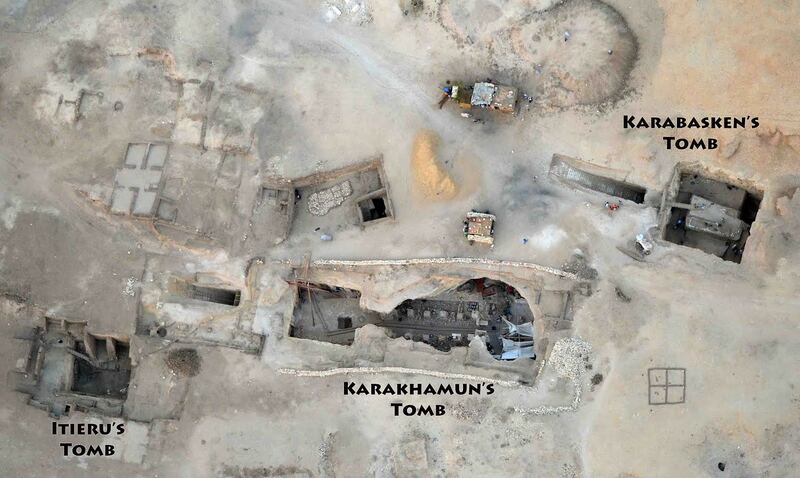 September 15, 2010 - Tomb of Karakhamun found by Egyptian-American team! September 15, 2010 - Ancient Egyptian tomb of Karakhamun at Assasif: a major tomb for a minor priest? Hotep! This is the start to the IKG Travel Blog. Please keep checking back here for more stories from our travels! If you would like to learn more the ASA Restoration Project, please contact us through the IKG webform. We look forward to assisting. We hope to see you on one of our missions.